Stand out from the crowd with a touch of something different. 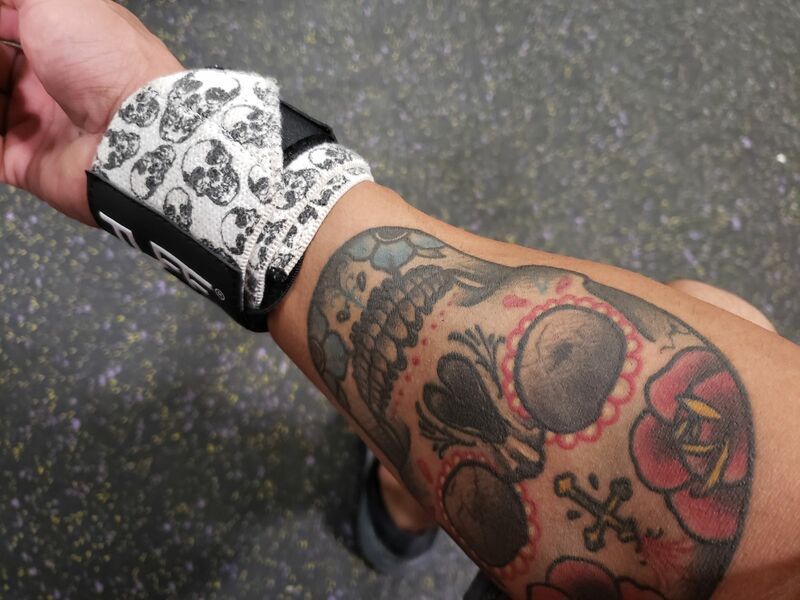 The Villain Skull wraps really are a step out of the ordinary! Our NO THUMB LOOP Villain Sidekick 16" Wrist Wraps provide you the support when you need it. We use a "Belt Loop Tightening System" that acts like a belt does to your waist. Never fuss or mess around with thumb loops again when using our Villain Sidekick Wrist Wraps. We use a high quality type of fabric that is made from a cotton/poly elastic blend. This material will absorb sweat and moisture and won’t cause irritation to your skin. 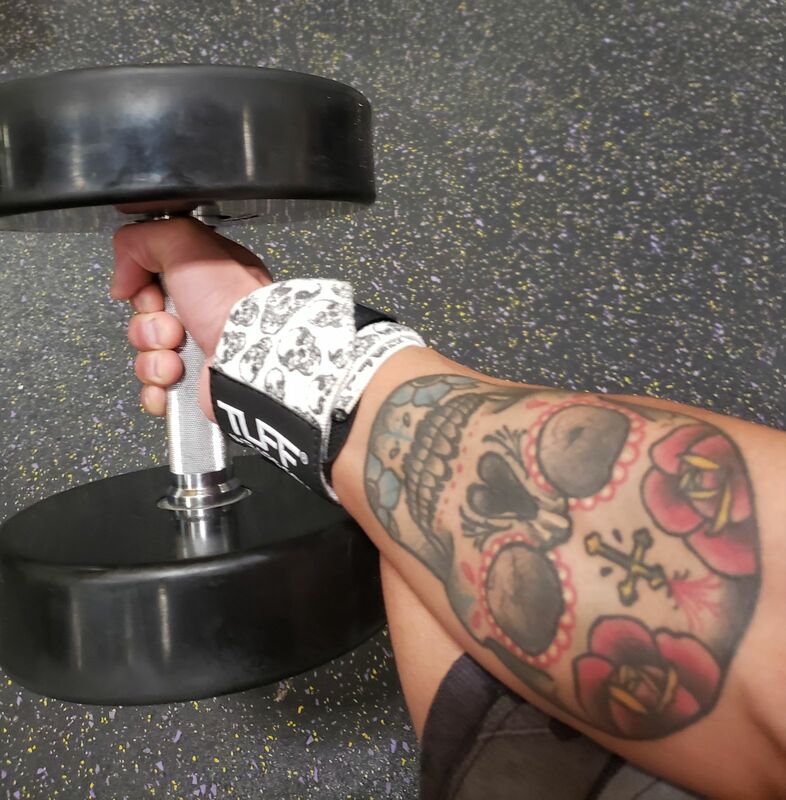 The Villain Sidekick Wrist Wrap offer you superior wrist stability when powerlifting, weightlifting, CrossFitting and strongman training. I have used cheaper wraps in the past and decide to try these and I am blown away by the quality of these wraps. I will never buy any other brand than tuff. Hey Brandon!! We truly appreciate your kind words! Thank you for your support and #STAYTUFF !! I'm not a big heavy lifter but it does what its suppose to do and that is support my wrist. Great support when benching and doing concentrating curls. I had a 5th metacarpal frature in the past and with these straps it help with the bearing of the weight. Only complaint I have is that the logo came scuffed but it's just looks, what matters the most is that they meet my expectations. Hey Eddie!! Truly awesome feedback and we really appreciate you taking the time to write your review. Keep working hard in the gym and #STAYTUFF !! Much Respect for your support. Comfortable, perfect fit, and does not rub your wrist like some other brands. All in all great product and even better price. Hey Joshua! Excellent feedback, we appreciate your review. Bless Up and thanks for your support. #STAYTUFF !! IAN H. Reviewed by IAN H.